Support is available and you may not know it exists. Sometimes life throws obstacles, causing you to trip, fall and sit wondering what happened. When these obstacles stand in your way, it can often feel as though they all come at once – not just the odd bump in the road, but an avalanche of bad news. This can leave us feeling lost and not knowing where to turn, or who to turn to. Losing a loved one is an obstacle that appears in most of our paths. Unfortunately, this pain is something we will likely all experience, but it is important to remember that you’re not alone and it will get easier. The role of a Doula traditionally is to be present during the birth of a child. You will find them working alongside the midwife, providing emotional comfort and practical assistance to the new mother. But now there is a new role emerging: End of Life Doulas. These are individuals who help the dying and their families. 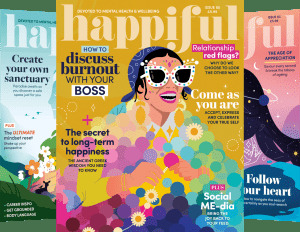 They work to help you feel safe and supported throughout the next steps. Doulas work in a flexible, person-centred way, tailoring their support to an individual’s needs. They will never push their own ideas on you; the aim is to discuss what you want and need, and really take the time to listen. They are not there to tell you what to do, only to help you and your family live the last moments in the best way. 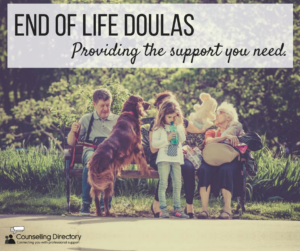 If you require an End of Life Doula, they will be there to help with daily tasks as well as liaising with medical professionals, to help you and your family understand any medical terms and phrases. They will be there to support you in creating an end-of-life plan and be there for the bereaved, the family and friends who are affected by the loss. There are of course other lines of support for the bereaved and sometimes you need to speak to a professional. While grief is something we will all experience, it can manifest in many, and often, unexpected ways. While we may feel angry, others may feel sad and confused – some may even shut down altogether. Bereavement counselling is another form of support during these sad times. Talking about the loss with someone unaffected can allow a person to adjust, accepting the sadness and learning to grow around it. Remember you’re not alone, we share one experience on our blog, ‘a personal story of grief and loss’ which may help you. If you are worried about a friend but don’t know how to help, there are other ways you can show your support, such as taking them out for tea or sending a sympathy gift.